Mobile user acquisition is in a nascent and transformational state. Instagram’s sale to Facebook in April of 2012 for $1 billion established the notion that billion dollar businesses can be built around mobile-only products; King’s IPO and the sale of a majority stake of Supercell to SoftBank and GungHo for $1.5 billion support that notion. But most apps wile away in ignominious obscurity. This is because user acquisition on mobile is far different than its sister form on the web, for which the topic of “growth hacking” has brought a frenzied wave of tactical obsession and transparency. In other words, while best practices for profitably acquiring users for web products are well-worn and universally acknowledged, the same cannot be said on mobile, for which user acquisition remains poorly understood and, for some firms, elusive. 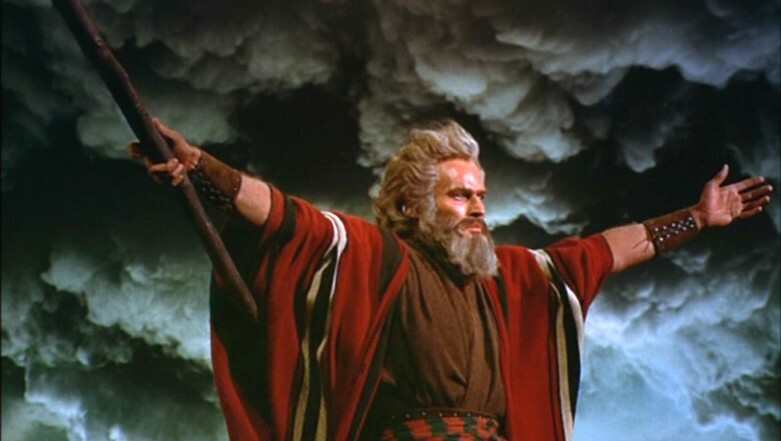 To that end, these Ten Commandments of Mobile User Acquisition are written to establish a set of basic tenets that can be applied to mobile performance marketing for the purposes of strategically growing a product’s user base while optimizing spend. The concept of LTV serves the same purpose for web products as it does for mobile products; it represents a maximum per-user acquisition price threshold, beyond which acquisition is unprofitable. The difference in application, of course, is that web products offer significantly more transparency than mobile products; platform idiosyncrasies and general technological obstacles render mobile attribution tracking and targeting far less robust than on the web. The difficulties inherent in calculating LTV over a range of dimensions make it tempting to avoid altogether for mobile, but this is a mistake: because the overwhelming majority of a freemium product’s users will never directly monetize, LTV-based segmentation is an essential component of profitable user acquisition. To effectively inform profitable user acquisition spending, LTV should be calculated, at a minimum, by device type and geography. If you can’t price a user in a specific country on a specific device make with confidence, then you can’t authoritatively acquire them. CPI prices can rise rapidly and non-linearly within a single network when a campaign is running at a high volume; a 2x increase in the number of installs intended from one day to the next can require a much higher than 2x increase in bid price. The only way to alleviate this price pain – which is caused by static potential install bases on a single network in the short term (ie. a given network can’t dramatically increase the number of users it can show ads to in a limited amount of time) – is to draw from a diversified range of advertising networks within a campaign. Adding an additional network to an advertising campaign can require quite a bit of work: uploading creatives, testing attribution links, installing SDKs, etc. But advertising with only one or two networks limits a company’s ability to scale a campaign up quickly without vastly increasing the CPI prices it pays. In order to keep CPIs low (and, given the first commandment, CPI prices should sit at some point below LTV), campaigns should be run across a wide range of non-aggregated advertising networks. One of the most fundamental and existential mistakes a small company can make in building a business plan around its app is to assume it will receive platform featuring upon launch. Featuring is elusive and, for all practical purposes, random. The comparison between receiving platform featuring and winning the lottery is often made, and it is apt: both are highly lucrative, and the odds of both happening are about the same (except that the odds of receiving featuring are probably closer to a person winning the lottery while being struck by lightning). The viability of an app launch strategy – and, more importantly, the profitability of an app launch strategy – should not be contingent on receiving platform featuring. If an app can’t be launched profitably without the assumption of being featured, then the business plan supporting its development is deeply flawed. Differences in advertising creatives can have a massive impact on click-through rates (and thus CPI prices). Because many mobile ad formats take up a large portion of a device’s screen real estate, the number of possible A/B tests that can be conducted on a single ad is very large – possibly overwhelmingly so. And while the ROI on A/B tests for permutations of a single graphic rapidly diminishes, a multitude of broad aesthetic themes should be tested when building out a portfolio of ad creatives for a product. A/B testing ad creatives doesn’t require actually running app install campaigns on mobile networks (which could get expensive); desktop Facebook display ads can be built quickly, are cheap relative to mobile install ads, and can provide a decent proxy for effectiveness on mobile. Given an LTV-based approach to performance marketing, understanding and having a relatively accurate grasp on non-paid growth (through a holistic k-factor calculation) is necessary in optimizing marketing spend. Calculating eCPI prices – that is, calculating the effective price paid per user, given that the product exhibits some level of virality – allows bids to priced higher (and thus more users to be acquired) under set budget and LTV constraints. For instance, a product with a k-factor of 0.5 (that is, every 100 users acquired can be expected to bring 50 friends with them into the product – through word of mouth or otherwise) has an eCPI which is 2/3rds that of a product with a k-factor of 0, meaning it can discount its budget by 1/3rd to produce the same paid cohort size. Predicting potential install volume in the future at a set price point is difficult to do with certainty. Unfortunately, product launches may require precision with respect to meeting download goals — for instance, if an app requires a critical mass of installs to be useful to anyone, eg. a real-time multiplayer game. It’s therefore important to overbook a product launch and ensure that some networks can be scaled up on short notice to make up for poorly performing channels. Some aspects of a product launch can be “all or nothing” (especially with respect to the critical mass concern already mentioned): if a goal isn’t met, the entire budget is essentially wasted. Setting a conservative budget under the assumption that all networks will deliver estimated install volumes can have expensive consequences if the launch fails to reach a needed threshold. Overbooking installs by 10-20% may increase the launch’s total budget if all networks deliver, but not securing surplus downloads can ultimately be far more costly. Chart positions – such as on the top downloads charts in the App Store and Google Play – can potentially confer thousands of daily new users to an app. But the effects of these positions are easy to overestimate and plan into a product launch, decreasing the budget that is set. Surely the #1 Top Free Downloaded position for all apps in the App Store provides the app that claims that spot tens of thousands of installs per day. But the #1 Top Free Downloaded position in Health & Fitness probably only receives a fraction of that number, with the benefits from a prominent chart position likely being almost nonexistent in the most niche product categories. Prudent launch planning includes assigning realistic estimates to chart positioning. Organic installs can materialize from chart positions, but outside of the top 10 positions in the overall free downloads charts, the volumes of those installs are not likely to be substantial. The success of massive GaaS (games-as-a-service) titles like League of Legends, Puzzle & Dragons, and Candy Crush Saga — all of which have utilized television advertising as a component of broad, mixed-media marketing initiatives — serve as an indicator that mobile apps have entered the public consciousness and can be grown with brand campaigns. While this is certainly true — and the largest mobile apps will increasingly utilize diverse media channels for marketing — performance marketing remains the most cost-effective and efficient means of growing a mobile app’s user base for the vast majority of developers. Unless you’re sitting on a multi-million dollar monthly marketing budget (or can supplement marketing by cross promoting millions of users from an existing portfolio of highly popular apps), mobile advertising is likely to provide a better return on investment than television, radio, print, or out-of-home advertising in building a product’s user base. Likewise, other efforts such as app store SEO, guerrilla marketing, and highly-visible PR campaigns, while providing incremental value, won’t likely contribute significantly to the growth of a user base. These are ancillary strategies that should complement, not replace, performance-based mobile marketing. Incentivized product installs – that is, installs that are made to receive a reward from within another app or to receive a location-based real-world offer, such as free wi-fi in an airport – are cheap relative to non-incentivized app installs and can be purchased in high volume. For these reasons, adding a healthy mix of incentivized installs to a launch campaign can be tempting. But incentivized app installs very rarely produce engaged users; they are therefore only helpful in inflating the number of downloads an app receives for the purposes of reaching a prominent position on a top downloads chart. Purchasing substantial numbers of incentivized downloads for a product launch may allow chart position to be reached easily, but it won’t contribute to long-term user base growth or deliver valuable data about product usage. Additionally, because users that were incentivized to download an app are less likely to find it appealing than users that downloaded the app exclusively to use it, they generally have lower LTVs – meaning even at a reduced price, incentivized installs may not be profitable. For this same same reason, app installs resulting from incentivized offers don’t incur any virality: each installs provides exactly one install, which doesn’t allow for a reduced eCPI. Soft launching a mobile product – that is, releasing it into a test market for the purposes of making iterative product improvements in response to usage data – is the best and perhaps only means of ensuring that a global launch budget is put to best use. 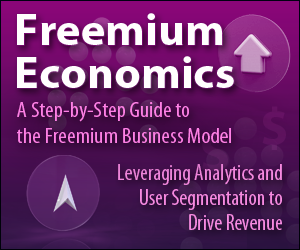 The low inherent conversion rate of the freemium business model means that monetization can only be optimized by catering to the users that are most enthusiastic about the product. A global launch that hasn’t been preceded by a soft launch is essentially executed without knowledge of the tendencies of the users that will become most engaged. A soft launch can be expensive – CPIs in the most common test markets are high — but it provides critical information about which users are most valuable, allowing realistic LTV (and thus global launch CPI targets) to be set based on data, not assumptions. So while a soft launch may reduce the budget available for a global launch, it ensures that the global launch marketing budget will effectively acquire valuable users.